Sharon graduated with joint honours in Law and Politics at Birmingham University. She qualified as a solicitor in 1993, while working at McGrath & Co. Solicitors. Having gained experience in Housing, Family and Personal Injury law, she then specialised in Housing law, joining CLP in 2001. Sharon works in the Travellers Advice Team, advising on accommodation issues including evictions, planning matters, and homelessness. Sharon was the Instructing Solicitor on Buckland v UK (2013) 56 EHRR 16. Shaheen qualified as a solicitor in 2005, specialising in Housing Law. 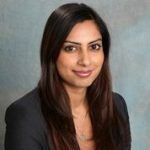 She joined CLP in 2007 and now her main area of responsibility is to support the Birmingham County Court Duty Possession Scheme on behalf of the firm, where she offers advice, representation and advocacy to all those facing eviction. After a successful career in commerce, Carol joined the Citizens’ Advice Bureau as a volunteer, progressing to deputy manager of the mobile unit working out of Kingstanding Bureau. She then joined McGrath & Co. solicitors, where she worked for several years, before joining CLP in January 2000. Fiona joined the Community Law Partnership in January 2014 as a Solicitor specialising in housing law. Fiona’s previous experience includes family law and mental health law representing clients detained under the Mental Health Act. Before training as a solicitor Fiona worked for the YMCA and the Youth Offending Service in various roles focused on rehabilitating young offenders.